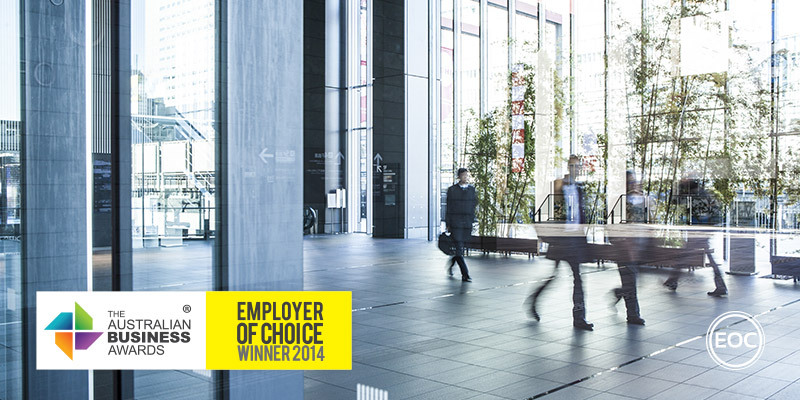 TRC Group has been recognised as an Employer of Choice in The Australian Business Awards 2014. TRC provides permanent, contract and executive recruitment services via five specialist divisions including technology, professional technical, finance, public sector and marketing and communications. The group employs 19 internal staff and approximately 150 external contractors. TRC is a diverse workforce whereby 50% of the leadership is female. TRC Group recently assessed the long-term direction of the company and put together a Big Hairy Audacious Goal (BHAG) for the organisation to work towards and help develop company values, including that of strong communication. The company boasts a simple, yet highly structured communication system that allows senior managers to facilitate an extensive and immediate two-way exchange of information with minimum disruption to the team. Short meetings are conducted throughout the working week ranging from daily seven-minute catch up meetings, to 20 minute weekly meetings to celebrate wins from the previous week. TRC is an employer of choice offering weekly training sessions, management training, idea think tank sessions, cultural events, company incentives and ability for consultants to set their own monthly targets.